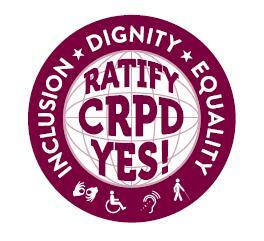 CRPD Action Alert: Our Time Is Now – Call the Senate Foreign Relations Committee Today! You are here: Home / U.N. Convention on the Rights of Persons with Disabilities / CRPD Action Alert: Our Time Is Now – Call the Senate Foreign Relations Committee Today! The Senate Foreign Relations Committee will hold a hearing on the UN Convention on the Rights of Persons with Disabilities (CRPD) tomorrow, November 5th at 2:30 pm Eastern. Contact members of the Senate Foreign Relations Committee today. Contact email addresses for Senate staff members handling the CRPD is provided below. Visit the Action Center at disabilitytreaty.org to find information on how to contact Senators on the Foreign Relations Committee by phone. Please be sure to contact Senator Menendez (D-NJ; Chairman of the Senate Foreign Relations Committee) and Senator Corker (R-TN; Ranking Member of the Senate Foreign Relations Committee), especially if you reside in New Jersey or Tennessee.